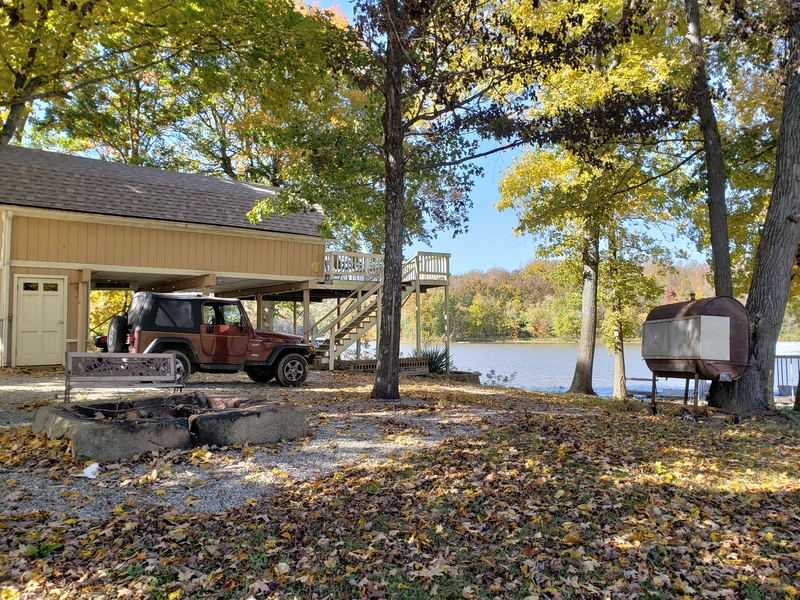 The Point is located on Deer Creek near Rocky Point Marina in Cannelton, Indiana. 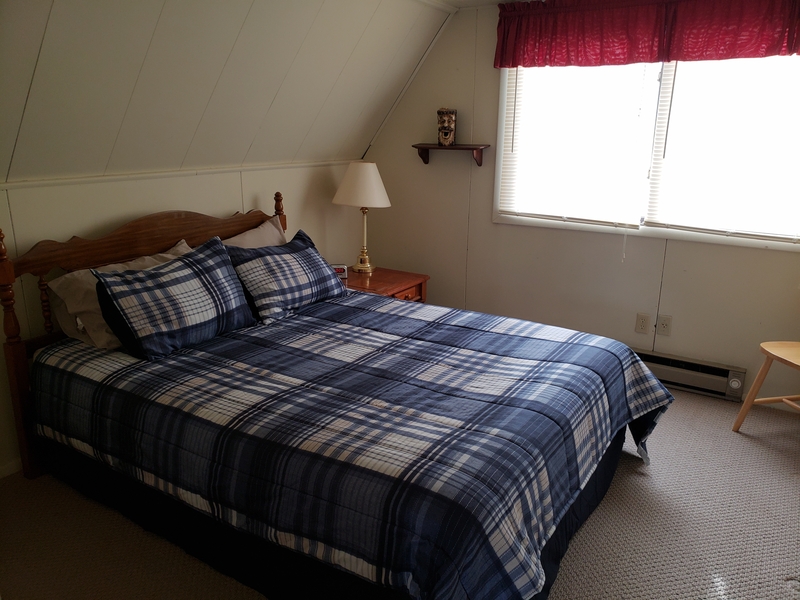 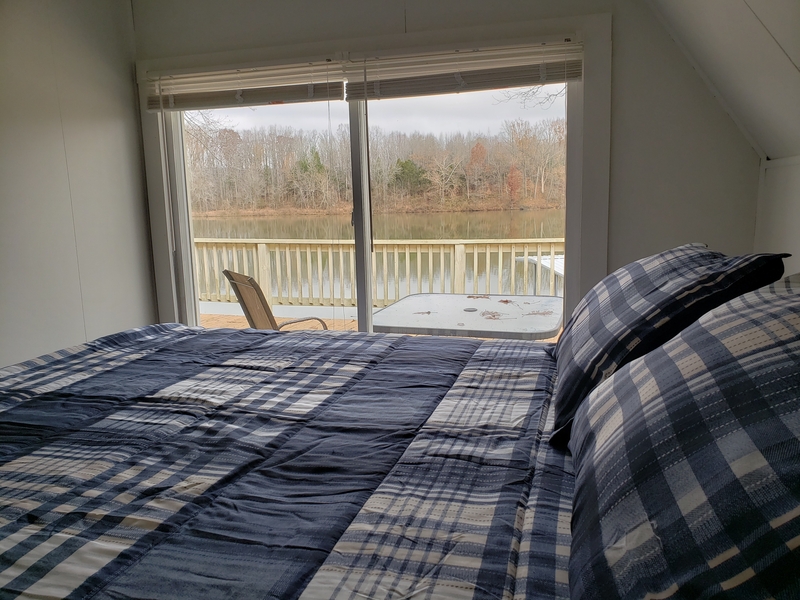 The property is several miles away from our other cabins located in Derby, Indiana. 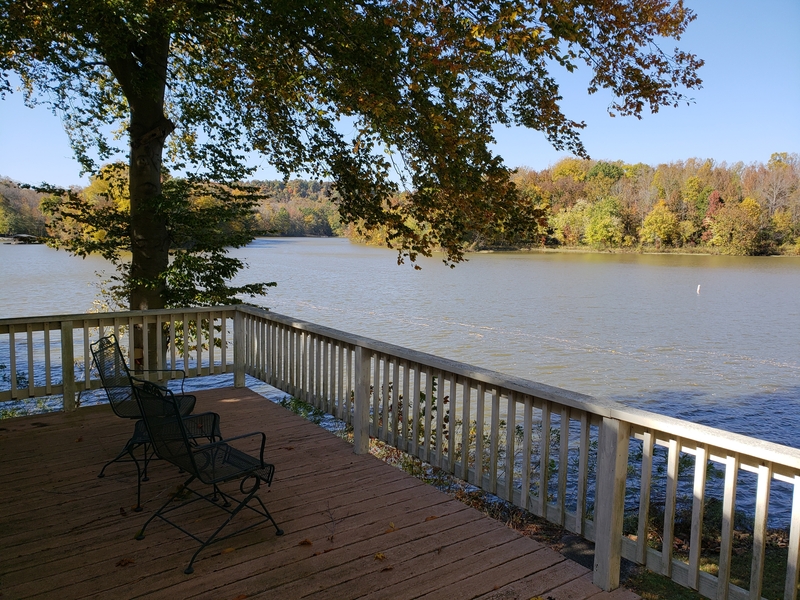 The rental is built on piers and overlooks Deer Creek. 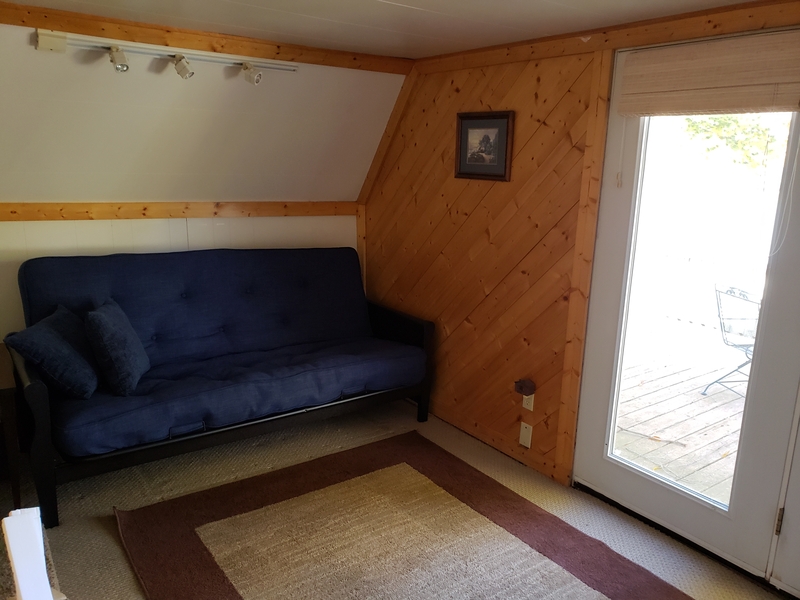 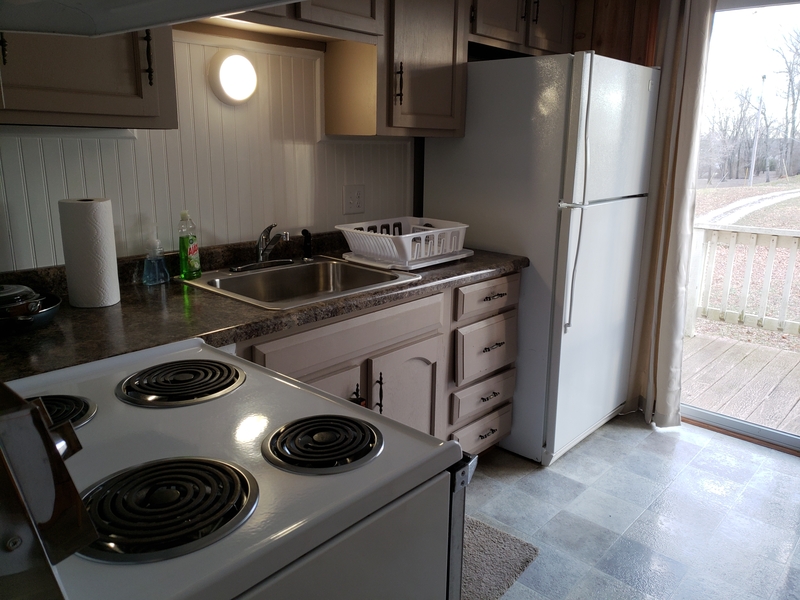 It has two bedrooms and a futon couch in the living area. 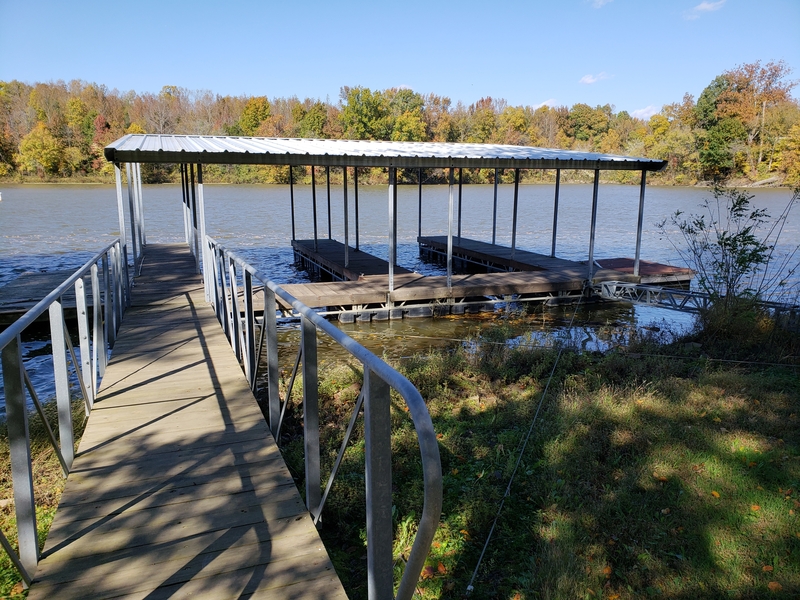 You can enjoy fishing on the covered dock or just relax sitting by a campfire. 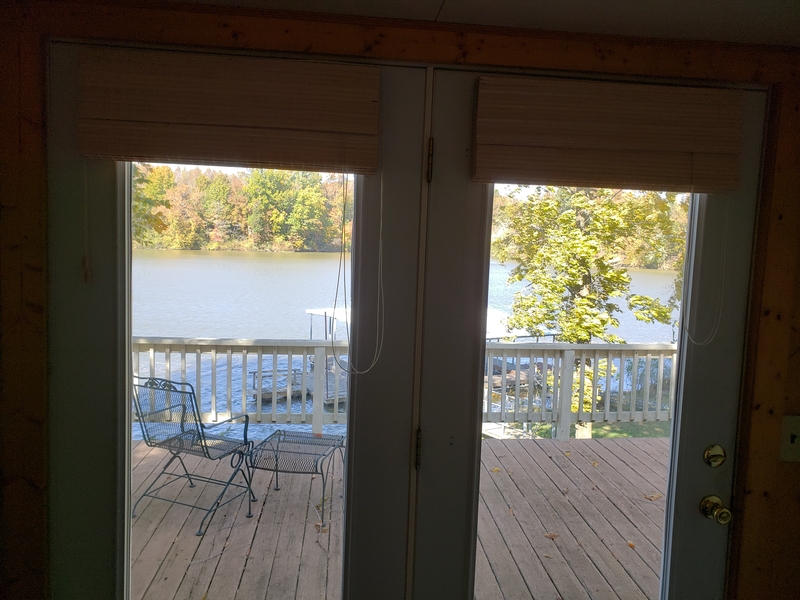 This rental does have Directv with HBO. 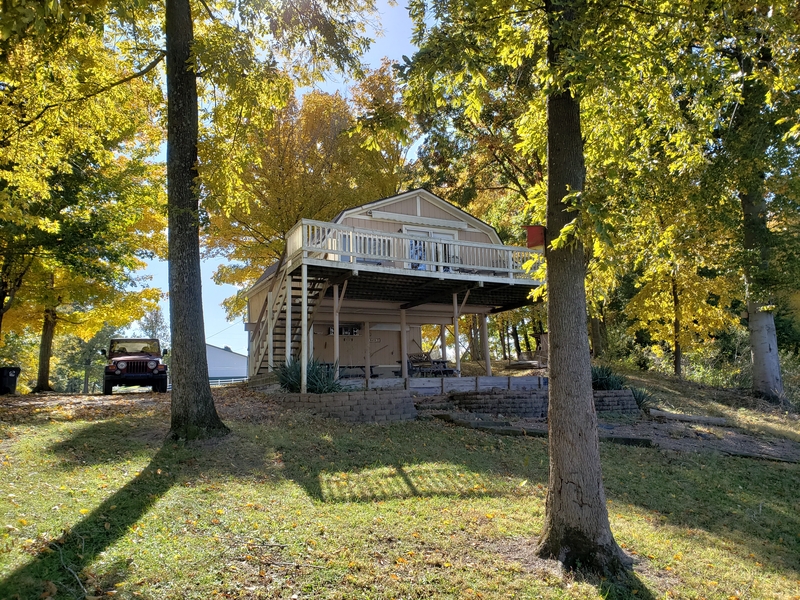 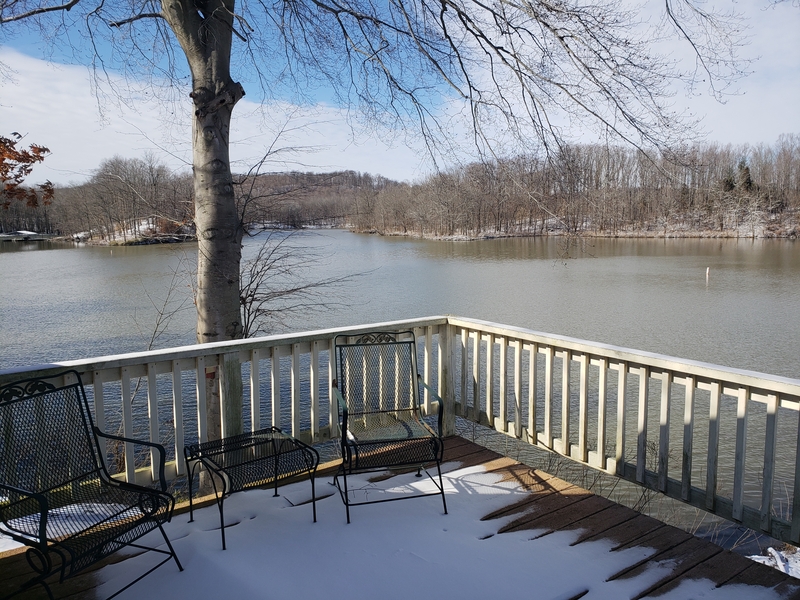 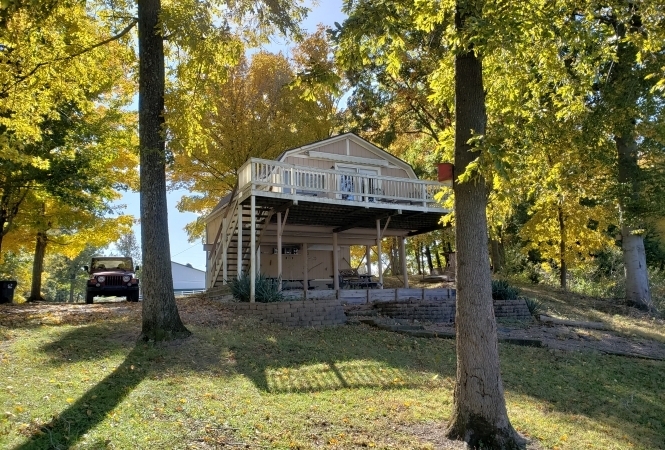 The Point does have two covered boat slips and is minutes to the Ohio River by water. 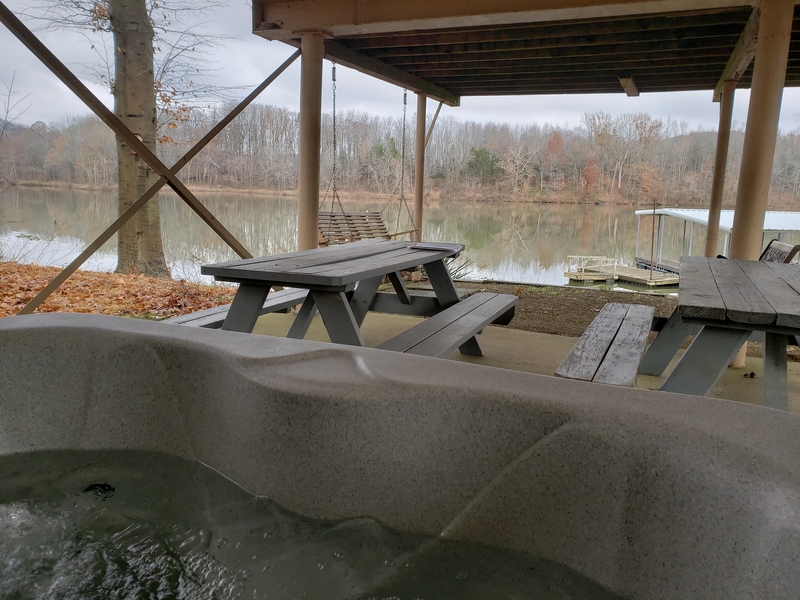 The hot tub is located on a covered patio area.